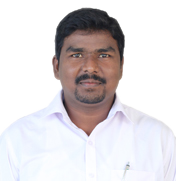 Mr. Krishnaji C M currently is the Program Manager at LEAD Program, Deshpande Foundation. He has 4 years of work experience in development sector. He coordinated most of the modules, placement and grooms of the fellows to become successful development sector professionals. He has a post-graduate degree in Master of Social Work from Davanagere University and he has also completed Deshpande Fellowship Program. He is passionate about training youth on basic technical skills, Information and Technology and he believes technology is the key aspect to make life better. Until now he has trained more than 3500 dynamic youngsters. His goal is to set up an educational venture where he develops the skills for the youth required at execution level which could be a turning point for their careers.